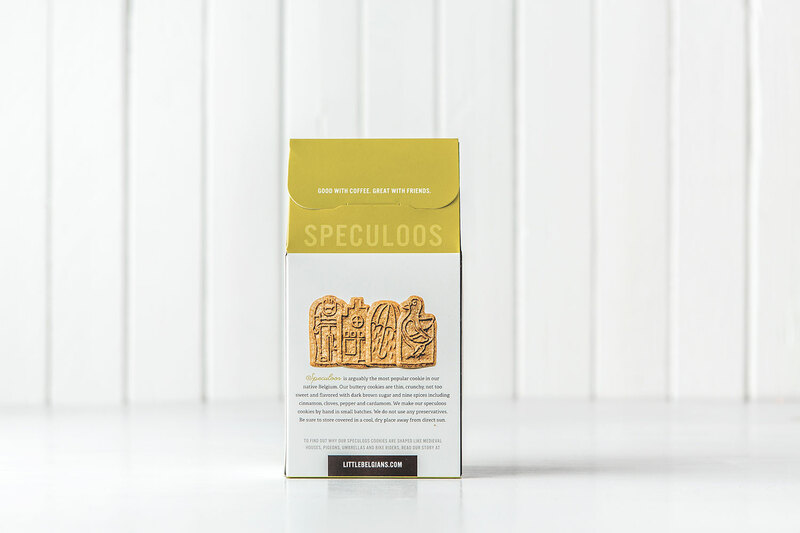 Little Belgians is an artisanal cookie company in Berkeley, California baking organic speculoos cookies in custom molds with shapes inspired by owner Evy Ballegeer's childhood in her native Belgium. 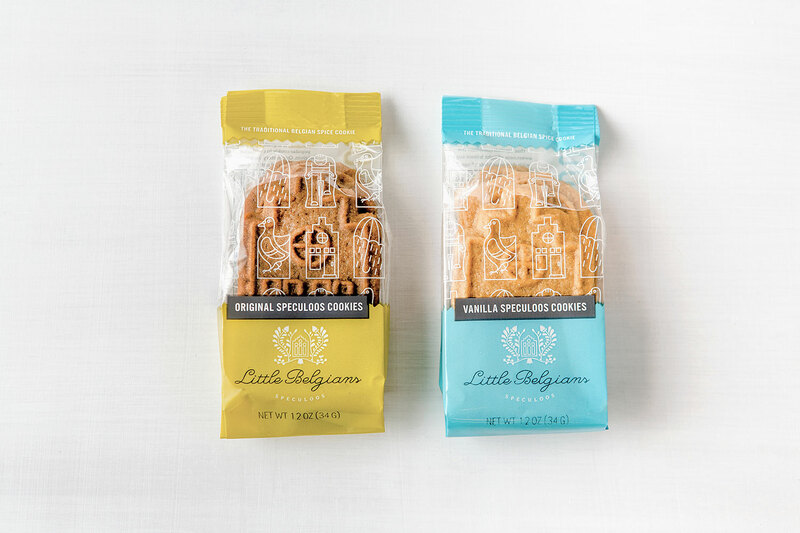 In branding the company and tackling the new cookie packaging design, we created a repeat pattern of the playful cookie icons and paired it with a balance of clean layout and cozy welcoming colors. 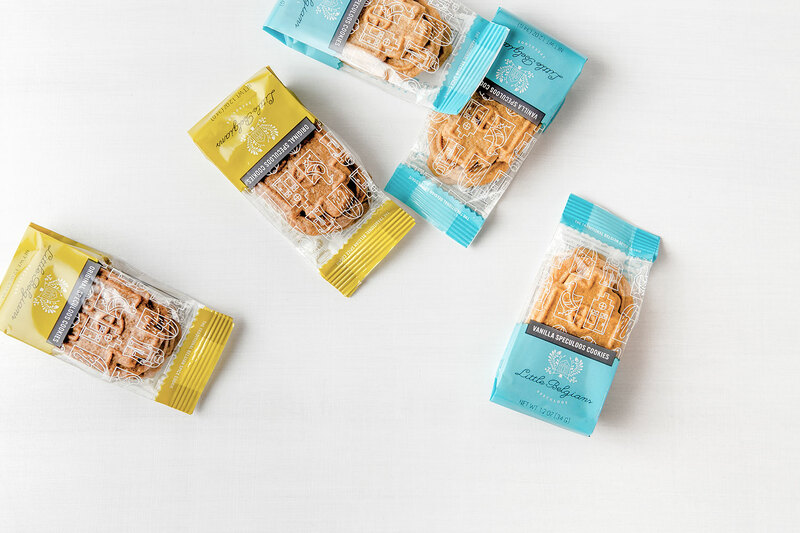 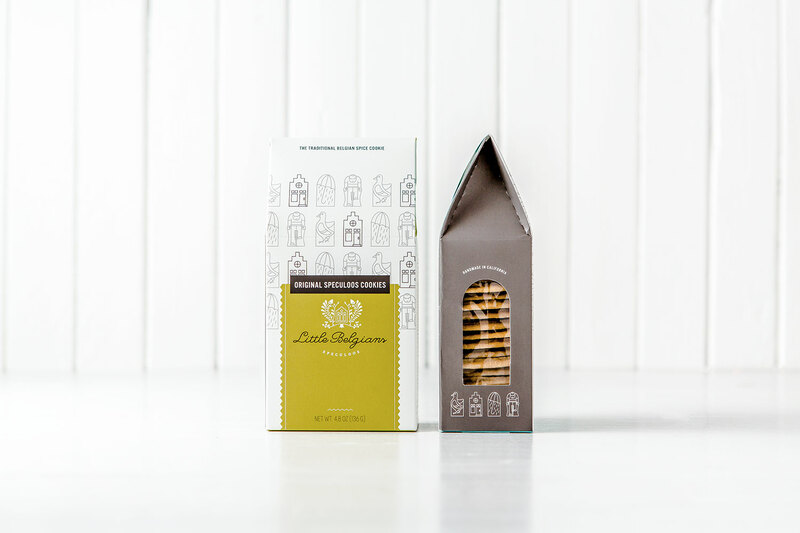 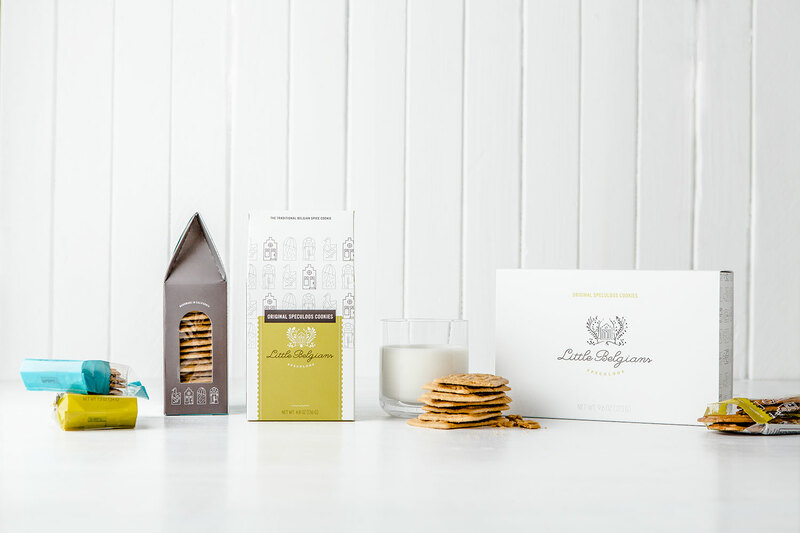 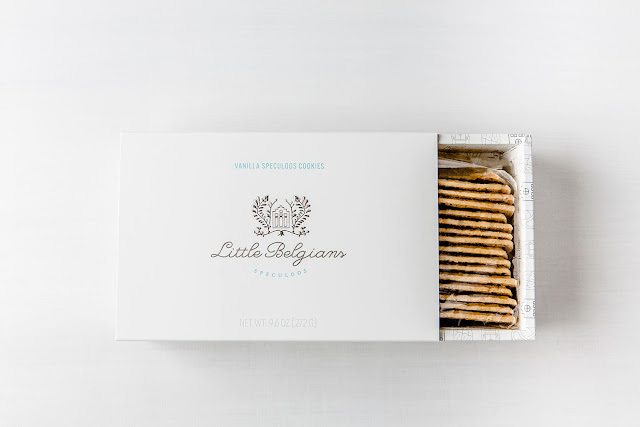 We designed and developed a 16-pack custom gable box style with a cutout window which nods to the house-inspired cookie shape in the company's logo. 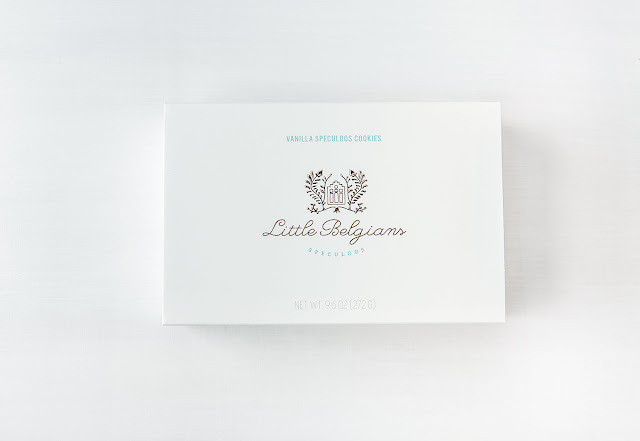 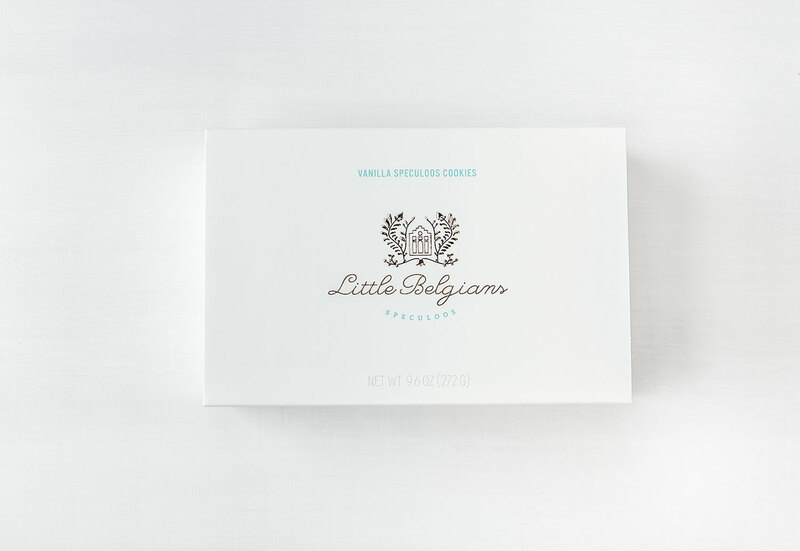 Soft touch material paired with embossing, foil stamp, and varnish details give the gift boxes a luxurious feel, while the 4-packs use transparent film to showcase the cookies below. 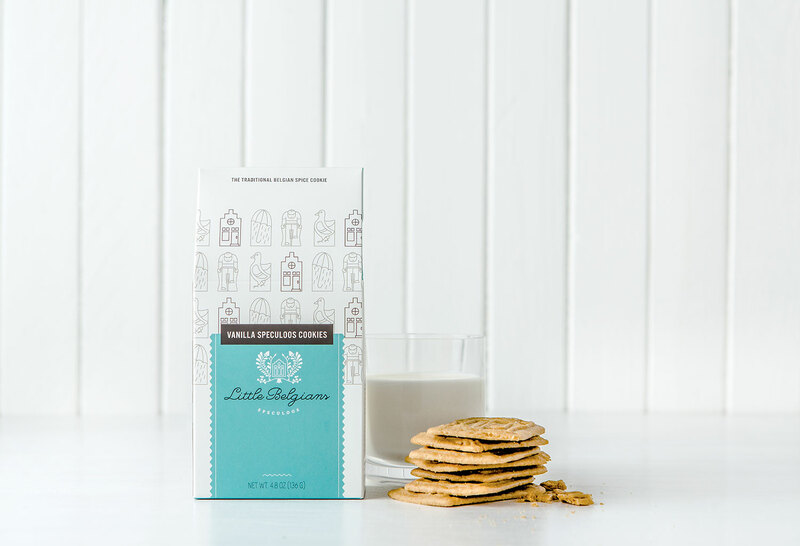 The new cookie packaging has been featured in Real Simple, Cooking Light magazine and was on The New York Times Food holiday gift guide. 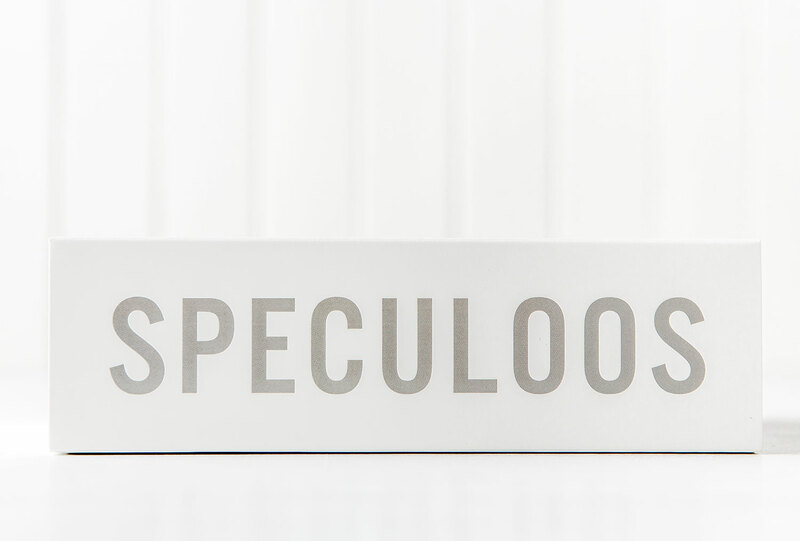 STRICTLY NO SPAM. Tell us what you think about this packaging project. No external links allowed, all comments with links will be marked as spam. Did you know: Chipboard is made from recycled paper and often contains blemishes and impurities from the original paper. Get what's trending in the packaging design world in your mail plus exclusive content and interviews. 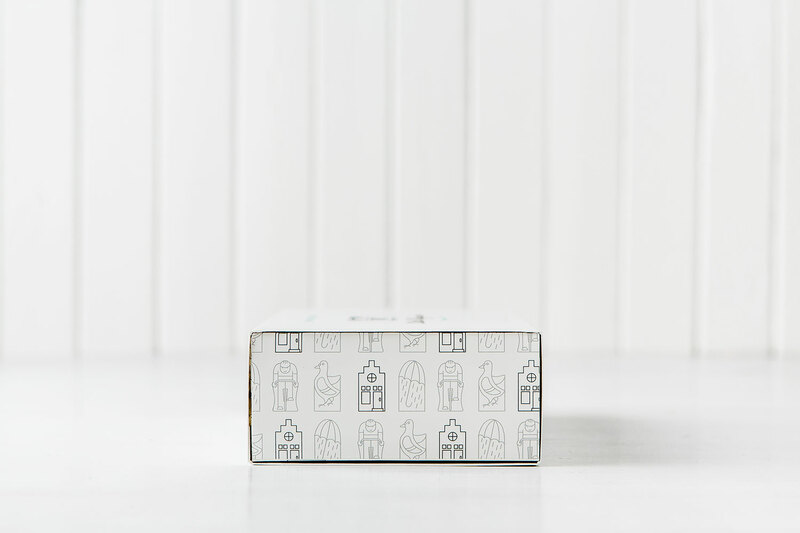 All images and artworks are copyrighted by their respective authors. 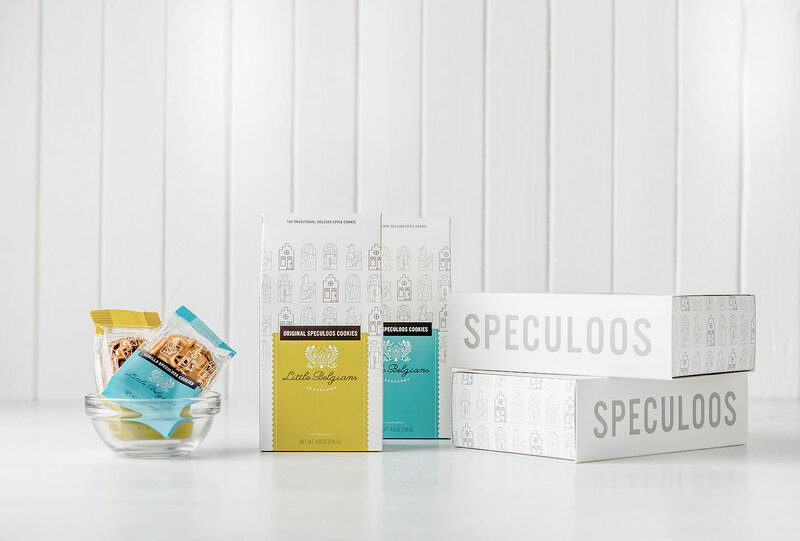 Copyright © Packaging of the World: Creative Package Design Archive and Gallery. 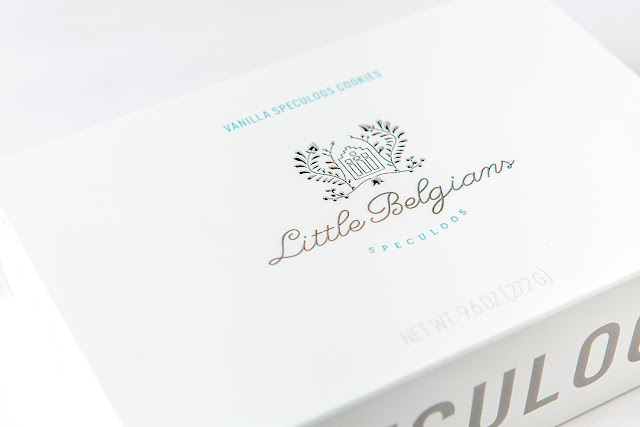 Hand-picking packaging projects since 2008.